The State Council of Educational Research and Training (SCERT), Kerala which duly functions as an R&D institute at the state level provide valuable guidance, support and assistance to the State Education Department, for its effort in improving the quality of education. To accomplish the real goal, the SCERT develops instructional materials for teachers at all levels. As the quality of teaching forms the best part of education, teachers are given training along with supplying supporting materials like teachers' handbooks and other academic books. With the changing system of learning process, teachers must also adapt to the environment giving the best support to the students' community. The numerical expansion of schooling and the rising need of quality education triggered the modification in the curriculum and teaching method. An innovative system of continuing education for teachers would benefit the learners to gather more information and even develop their abilities. The SCERT plays an important role in educational research and training by undertaking programs for quality improvement in school education. To cater the need of the students, educators should be well versed with the subject. 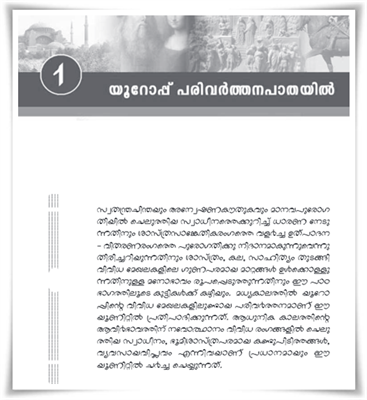 The SCERT Kerala teachers handbooks of subjects like English, Malayalam, Hindi, Mathematics, Science and Social Science of class 1, 3, 5 and 7 are now available at the official website. These handbooks have been designed by experts from the relevant fields. Teachers can best use these resources to make the classroom live and interesting. Written in simple language, the handbooks would enable the teachers to plan each lesson while the students could be able to gather more knowledge. Each lesson is well structured and would keep the learner acquire information more than the typical teaching method. As each chapter is illustrated with pictorial examples, the teacher could be able to channelize the acquired knowledge to the learners too. All the teachers in the government circle can use these learning materials to imbibe knowledge to the present generation.